Did you try to see if it was showing any codes? It will store codes without a CEL coming on. As I try the tank switch, my fuel gauge is not responding. What may this be indicative of ? TY. Yes. There is a pump in each tank. Ive had the switch fail on me. I disassembled it, cleaned it, reassembled and it worked fine (dirty contacts). I’ve had the problem in other makes as well. New switch is cheap, changing it out is easy as well. You could also also have a pump/sending unti failed. doubtful for double pump failure at same time. First off check the Inertia fuel shut off switch. Push the red button on top down to reset it. 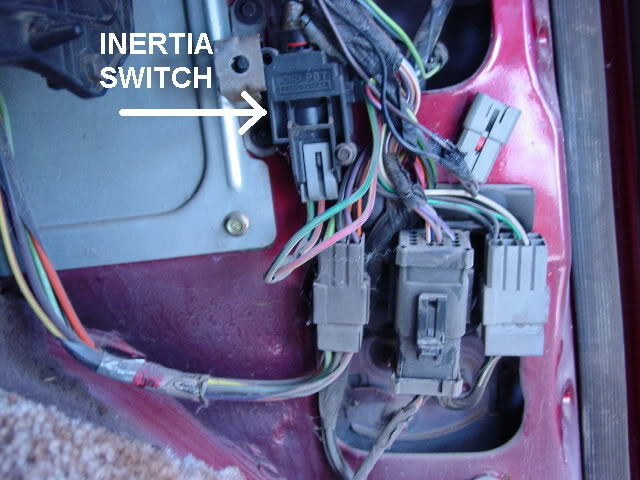 The Inertia switch is located in the behind passengers kick panel. There should be a hole in the panel for resetting it. Dose the selected fuel pump now run for one second each time the key is turned to the run position? 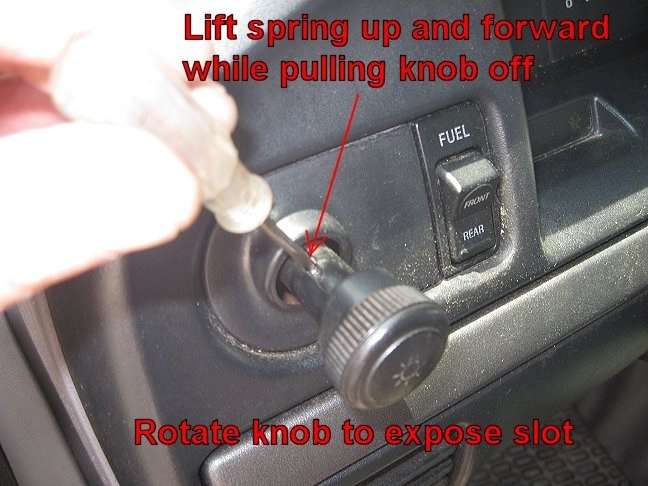 What does the fuel gauge needle point to when the key is turned to the run position? 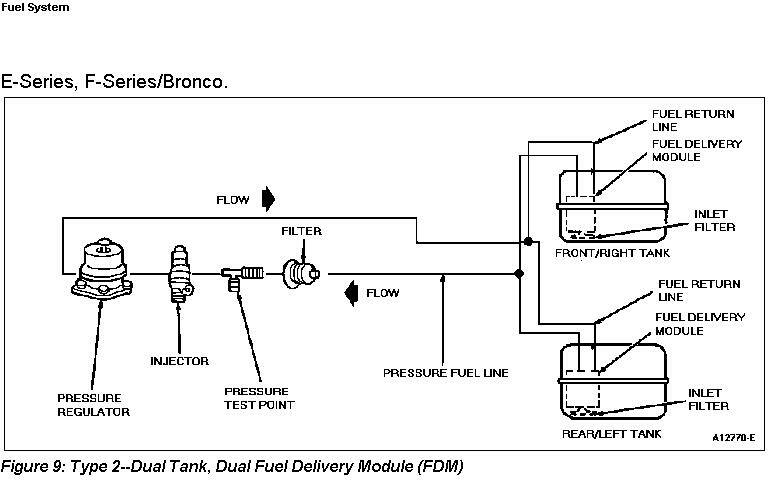 Are you also saying that the selected fuel pump will not run for one second each time the key is turned to the run position after pushing down on the Inertia fuel shut off switch? If so short pin #2 to pin #6 of the self-test plug and turn the key to the run position. Does the selected pump run all the time now? 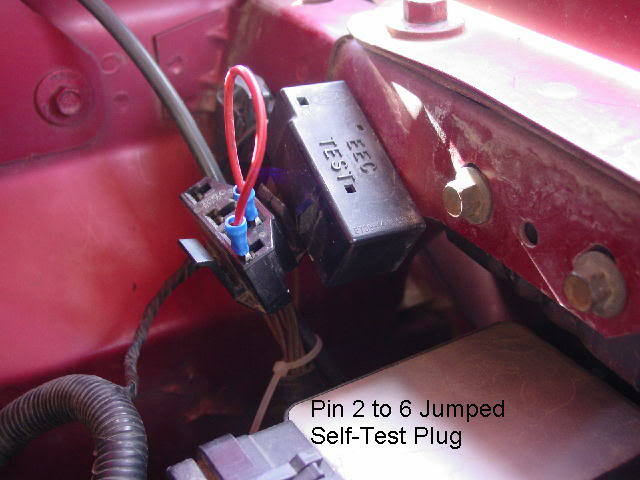 If not ground pin #6 of the self-test plug and turn the key to the run position. Does the selected pump run all the time now? The gauge is reading 3/4 in both tanks EXACTLY in not moving and I know one is about 1/2 and one is near full. Thanks so much for the guidance. Heading out to the barn to inertia test her...what would your sequence be for troubleshooting the matter? TY. How does the **** come off the headlight switch? I meant by not responding that it was staying at 3/4 with no movement via switch. Sputtered.